Heat the butter, place the chicory in the butter (cut-side down), add the vanilla and sugar, season. Sauté for approx. 2 mins., shaking the pan occasionally. Pour in the water, steam over a medium heat for approx. 10 mins., turning the chicory once. Remove and keep warm in an oven preheated to 60°C. Heat the butter and sauté the onion. Pour in the wine, simmer for approx. 2 mins., add the stock, bring to the boil. Pour in the cream, simmer for a further 3 mins., season. Keep the cream sauce warm. Before serving, blend with a handheld blender until frothy. Season the fish fillets and prawns, toss the fish fillets in the flour and then shake off the excess. Heat the clarified butter in a non-stick frying pan, fry the fish fillets for approx. 2 mins. on each side. Stir fry the prawns for approx. 2 mins. 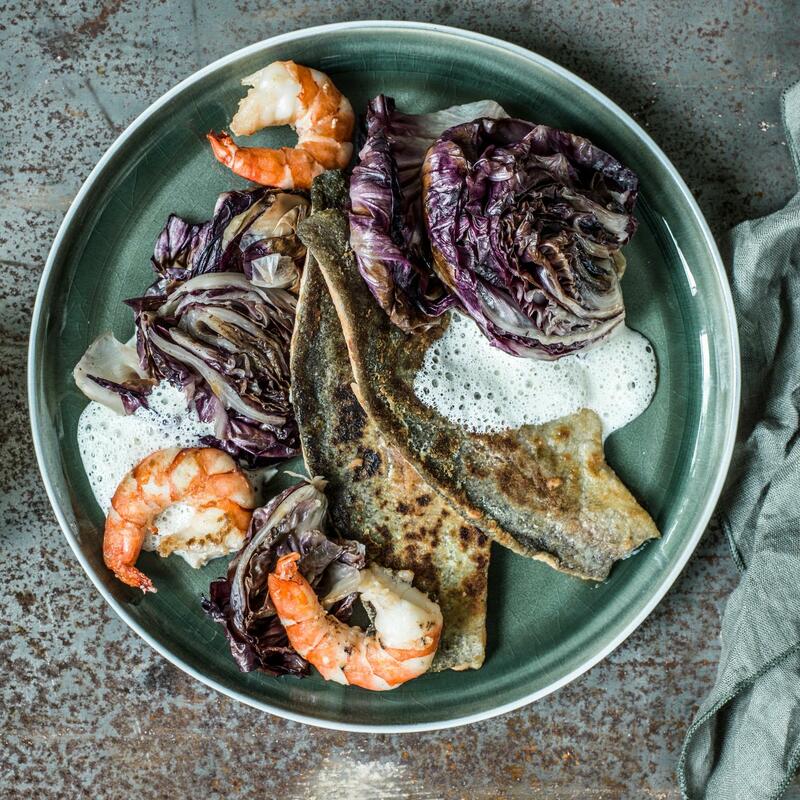 Serve the salmon trout fillets and prawns with the vanilla chicory and the cream sauce.